“From the moment your bus picked us up at the PA Hospital, I felt like I could relax for the first time since yesterday. Bill’s friendly banter and everyone’s help made me immediately feel cared for.” – Helen & Wilfred. Arranging transport to your cancer treatment can be daunting, especially when travelling away from home or for treatments which last for many weeks or months. To assist, Cancer Council Queensland offers a range of courtesy transport to treatment services which include airport transfers, lodge transport and a home to treatment transport service. Please note that Cancer Council’s Transport services are unable to transport children under the age of 7. 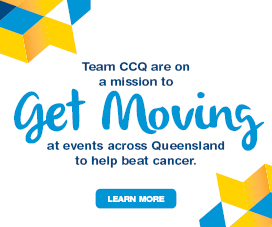 Cancer Council Queensland operates a free volunteer-run transfer service in Brisbane and Townsville to take you to and from your accommodation or treatment facility. In Brisbane you can be picked up from Brisbane Airport or Roma St Transit Centre. If travelling to Townsville, pick up is from Townsville Airport. 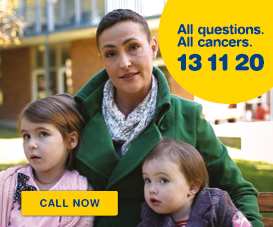 To book call Cancer Council 13 11 20. If you are staying at one of our accommodation lodges we have a transport service available each weekday to take you from the lodge to your treatment facility. This can be discussed when you are making your accommodation booking or upon arrival. 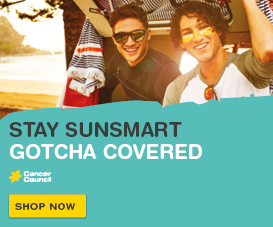 For more information see accommodation lodges or call Cancer Council 13 11 20. If you are having treatment for cancer, and struggling to access transport from your home to your treatment facility, you may be eligible for referral to our Transport to Treatment service. The service is delivered by volunteers who will pick up and drop off eligible clients from their home to attend treatment at a designated treatment facility in the current locations. Your home must be within a 15km radius of the designated hospital. To be referred to the service you will need to make contact with a health professional at your treatment facility (e.g. Welfare Worker or Social Worker) who will submit an online referral on your behalf. The health professional will assess your eligibility and suitability for the service. The service operates Monday to Friday, 9am to 4pm. Bookings cannot be made outside of these hours. Bookings between these hours are subject to the availability of volunteers, vehicle capacity and distances for travelling.